Oscar Pistorius Released From Jail : The Two-Way South Africa's paralympian sprinter has been released from prison following his "culpable homicide" conviction in the 2013 shooting death of his girlfriend. He is under house arrest. Oscar Pistorius was found guilty of culpable homicide, which is equivalent to manslaughter, in the 2013 shooting death of his girlfriend. After less than a year in jail, he was released to house arrest. South African sprinter Oscar Pistorius has been released from prison nearly a year after he was jailed for killing his girlfriend in 2013. He will spend the remainder of his five-year sentence under house arrest. "Oscar Pistorius's release on parole a day earlier than expected, under cover of darkness, means he's now under what South Africa calls correctional supervision – at his uncle's house in Pretoria, South Africa. "Pistorius was convicted of the culpable homicide of his girlfriend Reeva Steenkamp, who he shot through a locked bathroom door on Valentine's day in 2013. The athlete, who sprints on prosthetic legs, says he mistook her for an intruder. 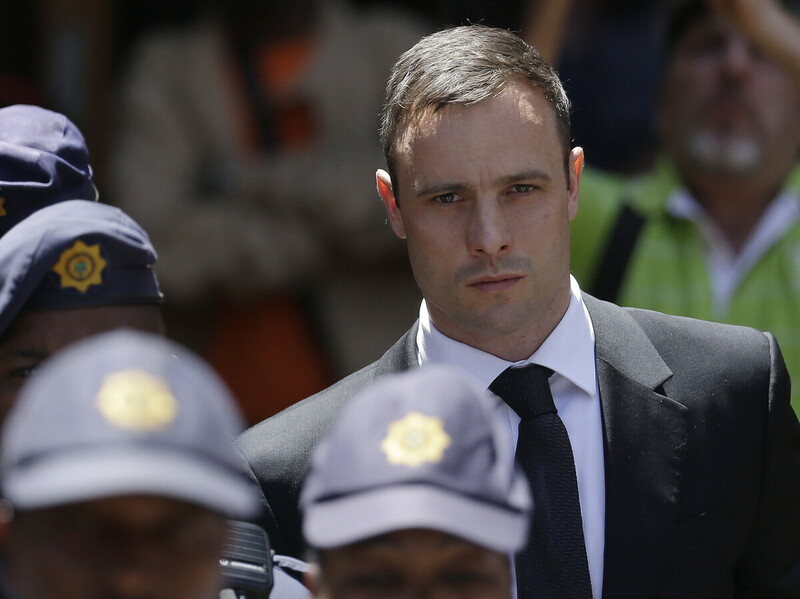 Prosecutors are seeking to have the manslaughter conviction converted to murder, which would carry a lengthy sentence and see Pistorius return to prison. South Africa's Supreme Court of Appeal is due to hear the case in two weeks." As we previously reported, "Pistorius said he fired his gun because he wrongly believed a burglar had broken into their Pretoria home." Prosecutors, however, maintain he shot Steenkamp during an argument. A lawyer for the Steenkamps told South African media that Pistorius' release does not affect their lives. "Reeva is still not coming back. Whether Mr. Pistorius remains incarcerated or whether he is released, Reeva isn't coming back so it doesn't make a difference to them," Koen said. Pistorius, nicknamed "blade runner" for the carbon fiber prostheses that he uses during competition, attained global fame during the 2012 London Summer Olympics when he competed against able-bodied athletes and even qualified for the semifinal in the 400-meter race.